The Wind Rises is Hayao Miyazaki’s final film, apparently, and, while I wouldn’t rank it up there with his best, it’s a complex, thought-provoking, and stunningly rendered piece of art. 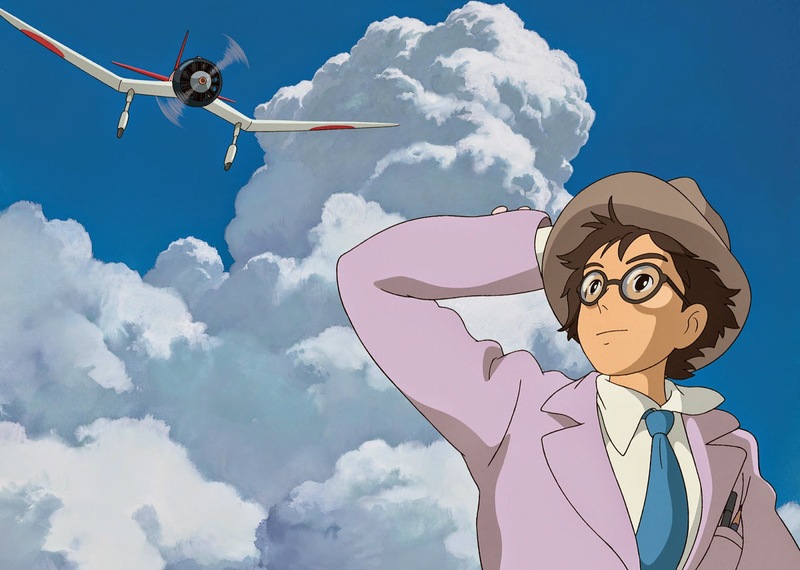 The story is very different to what I think of when I hear the name Miyazaki; it’s not a surreal fantasy but a real-life biopic, following the career of aeronautical engineer Jiro Horikoshi – a career full of many successes and failures, culminating in the creation of the iconic Zero fighter, Spitfire of the East. Jiro's tale is plagued by a strong sense of melancholy – like Caproni before him and, famously, Robert Oppenheimer, he is plagued by the use of his inventions for warfaring purposes. Outside of his career, his marriage is equally unlucky – though he and his wife deeply love each other, she is taken ill and he must compromise his work commitments in caring for her. The film tells these two stories hand-in-hand – at one point literally, as in one particularly sweet sequence, he holds her weak hand and draws up blueprints one-handedly as she sleeps. 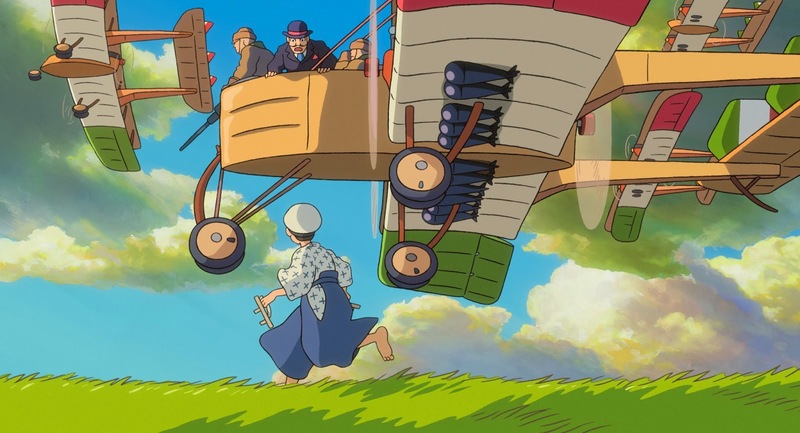 The highlights, due to Miyazaki’s visual flair for the unusual, are the dream sequences, in which Jiro is guided by his idol, Count Caproni, great designer of aircraft. It’s these sequences where the central issue of beautiful inventions used for horrible acts is best explored. In the downbeat final dream, Jiro walks through a graveyard of shot-down Zeroes, reflecting on the remarkable fact that not a single one made it back. But Caproni, who describes the life of an aeronautical engineer as both a “beautiful dream” and a “cursed dream”, gives a more optimistic view, asking if Jiro would prefer to live in a world with no pyramids. Thought-provoking stuff. I do think, however, that this issue could have been written into the rest of the film a little more, perhaps through conflicts with co-workers – Jiro never seems to challenge anyone or be challenged on the morality of his work, and so large portions of the narrative can feel a bit too easy-going, giving the designer too easy a ride for his sins. My other narrative criticism is that he meets his wife when she’s a child and he’s coming out of his teens, and later says he fell in love with her at first sight, which is weird and creepy and put me off the romantic story, as well told as the rest of it is. Visually, however, the film is a beaut. As would be expected. The watercolour-esque landscapes, the startlingly colourful skies. Great sound design, too, with aeroplane sound effects generated by the human voice (no, really). All in all, a great celebration of a great designer’s work, and a beautifully crafted film. I just wish it could be a little more critical.